by Paul Kihwelo on October 3, 2014 · 0 Comments. 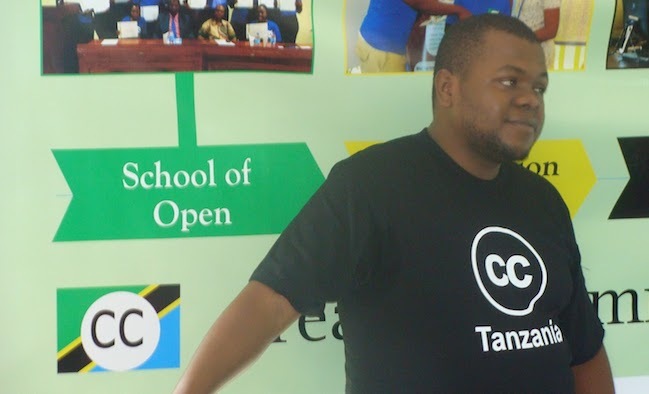 12.09.2014 will be one of the memorable days for Creative Commons Tanzania in many years to come as they successfully hosted and launched its CC for kids event for the first time as part of the School of Open (SOO) and Mozilla maker party programs that was globally celebrated and launched on the same day. This also made CC Tanzania and Tanzania to be the first country in East Africa to do so for such kind of program this year. 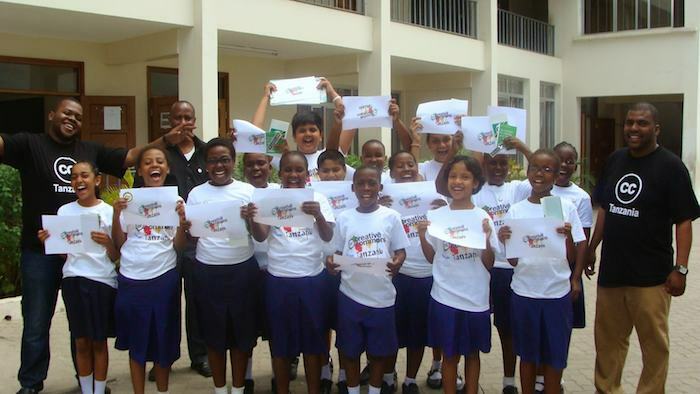 The program officially launched at Academic International Primary School (AIPS) in Dar es Salaam whereby 15 students from grades four to seven got the opportunity to learn how to code, designing animated picture (cartoons) by using open educational resources through the web. The event also marked the launch of three other training programs around ICT empowerment training for unemployed youth, teaching persons with disabilities how to use computers, and training educators on using ICT to improve how they teach their students in Tanzania that will be coordinated by CC Tanzania and the Open University of Tanzania. The program which was held at AIPS named ICT for kids coordinated and facilitated by a group of volunteers from the Open University of Tanzania (first university in the region to offer open and distance learning programs) and Tanzania Commission for Science and Technology’s Innovation space (Buni Hub). Below is a partial pictorial view of the event, ICT for Kids at Academic International Primary School. To see all pictures from the event, visit the CC Tanzania blog. One of the facilitators and volunteers from Tanzania Commission for Science and Technology’s Innovation space and manager of Buni Hub.